This monograph was prepared under the Multi-Annual Programme 2015-2019 “The Polish and the EU agricultures 2020+. Challenges, chances, threats, proposals”. The publication is a collection of selected papers delivered at the international conference entitled “Strategies for agri-food sector and rural areas - dilemmas for development” organized by the National Research Institute on 19-21 June 2017 in Stary Licheń in Poland. 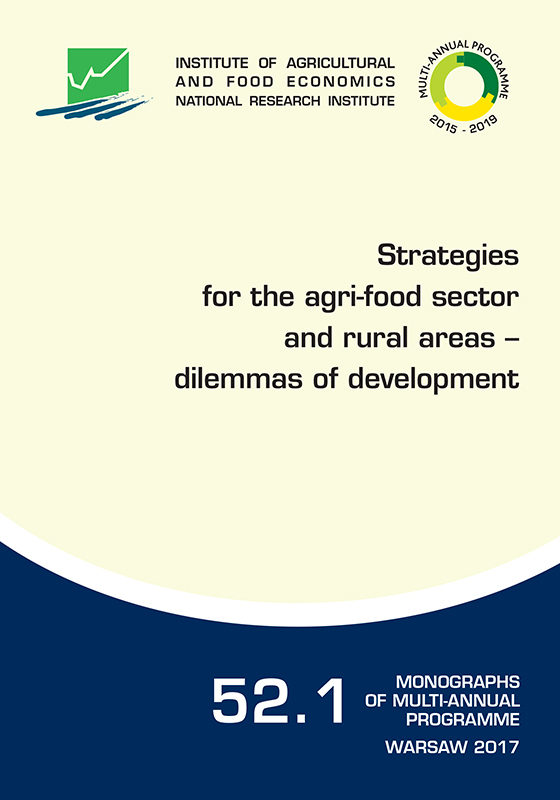 The published materials refer directly to the current and future strategic objectives and principles of agricultural policy for the agri-food sector and rural areas, address the issues of equilibrium between agriculture, forestry and land use, as well as productivity and production efficiency and tensions between sectoral and territorial action and cohesion policy.